Audi scrappage plans | What Car? Audi is supporting the scrappage scheme. Like all participating manufacturers, the 2000 discount is available on all models. 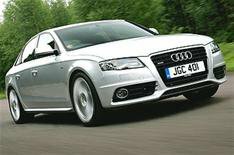 When buying an Audi under the scrappage scheme, you may also qualify for a low-rate finance offer.